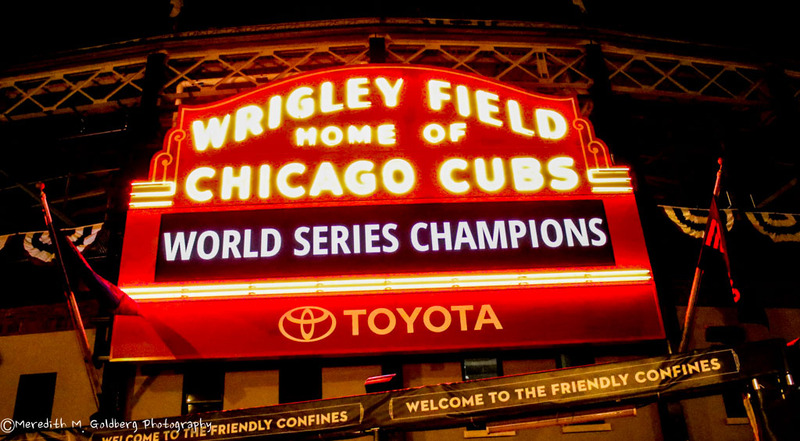 After 108 long seasons, the Chicago Cubs finally won the World Series. Of course, the series had to go seven heart-pounding games, and go into extra-innings in that final game to boot! 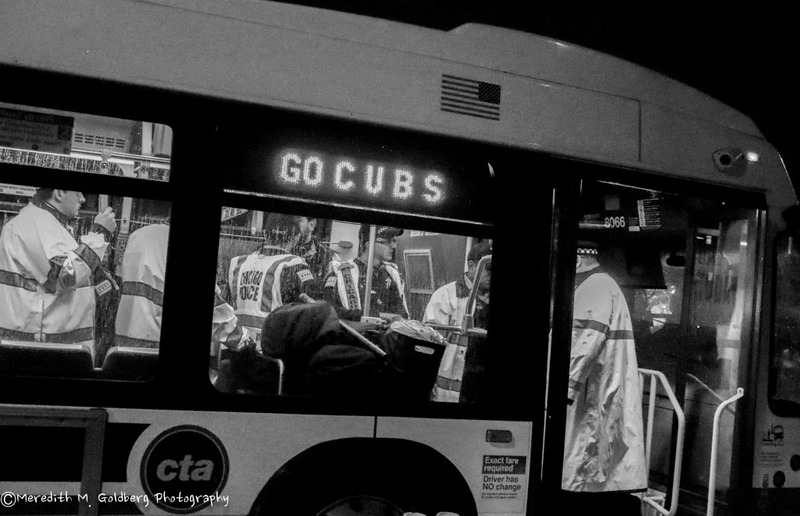 After being up throughout most of the game, the Cubs blew a three-run lead in the 8th only to fight back and win the game in 10 innings, finally giving many Cub fans what they waiting their entire lives for — a World Series Championship. 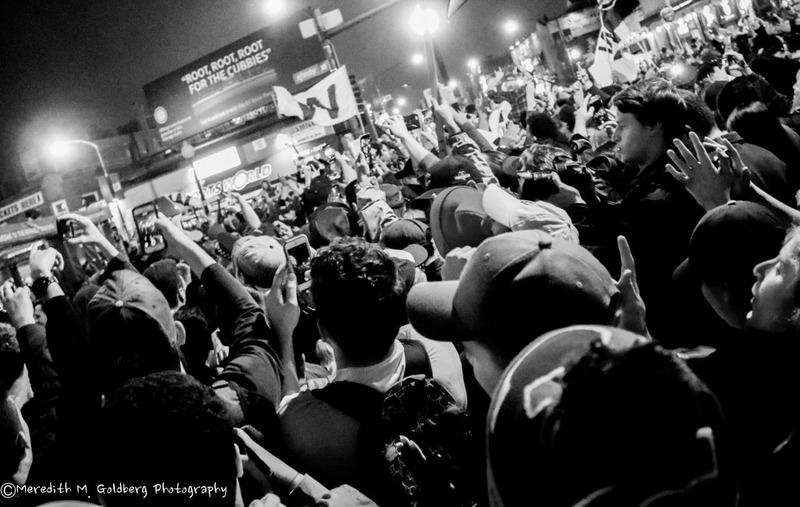 Though game 7 was played in Cleveland, tens of thousands flocked to Clark and Addison streets to be outside what is considered by Cub fans to be the Holy Land — Wrigley Field. 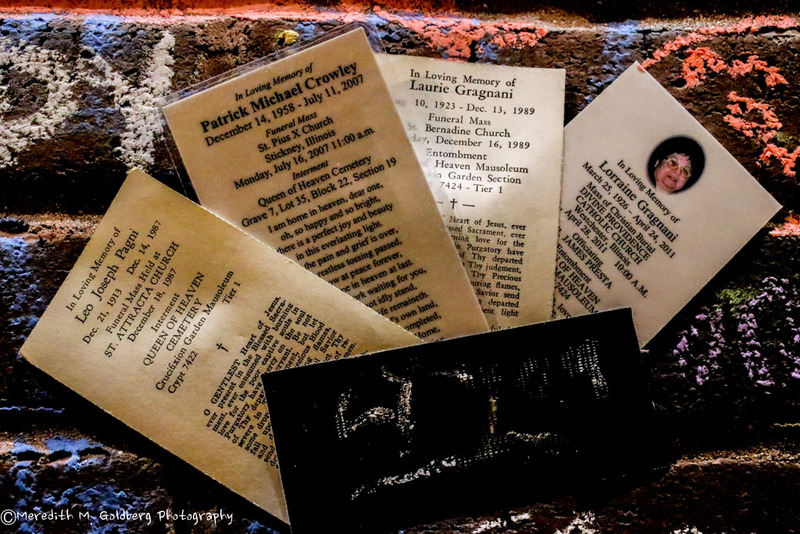 Photographer Meredith Marie Goldberg was also there and captured the drama of the historic game 7, now considered by many baseball pundits as the best baseball game of all-time. 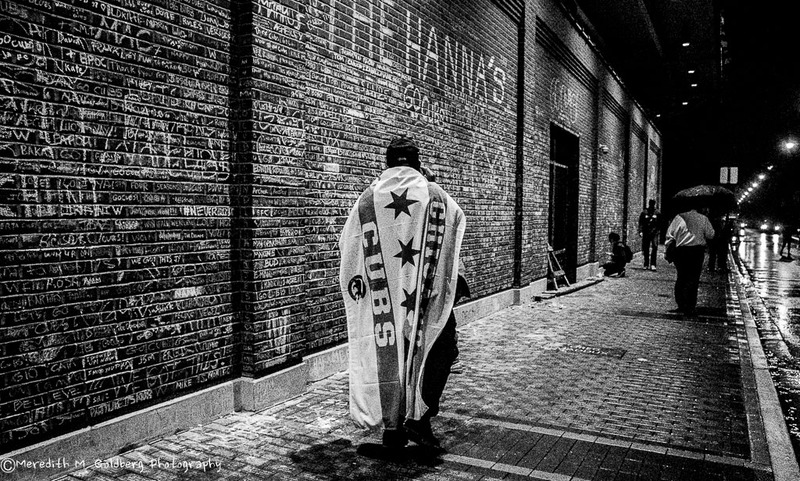 The Chicago Ambassador is proud to display her photographs from game 7. Mounted Police at the ready to control crowds. 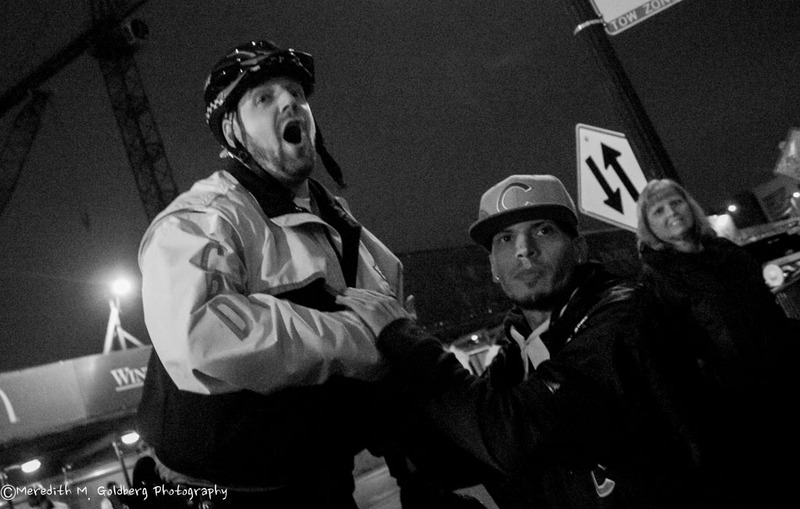 CPD at the start of the night. 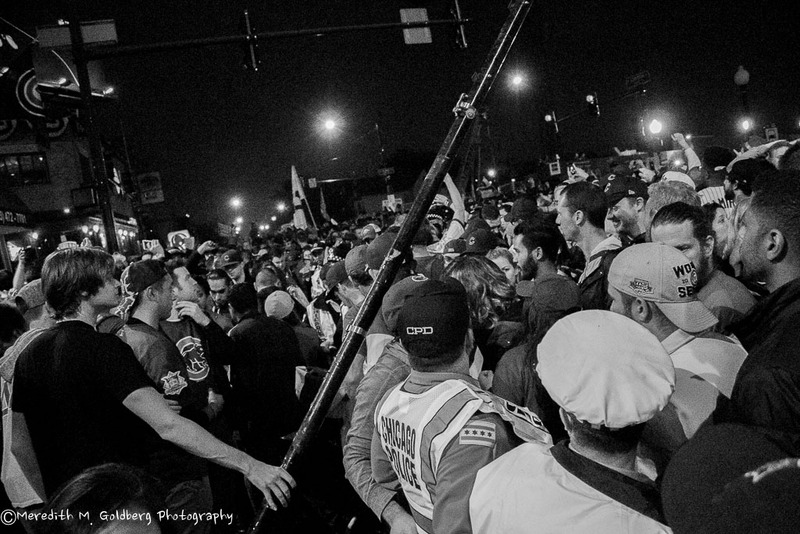 Police officers were transported into Wrigleyville together. 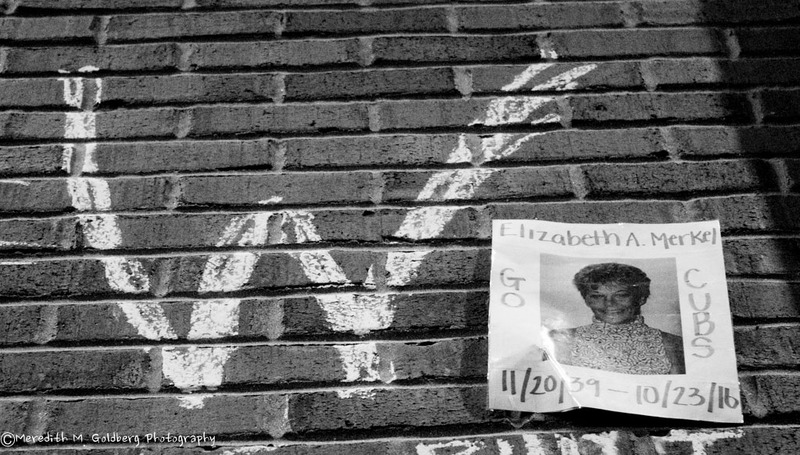 Walking along the “Messages and Memorials Wall” at Wrigley Field prior to the start of game 7 of the World Series. 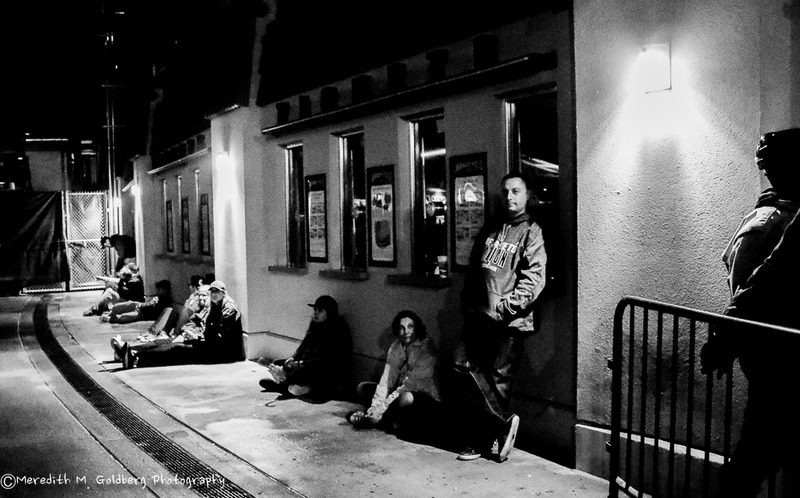 Little room to move…or breathe. 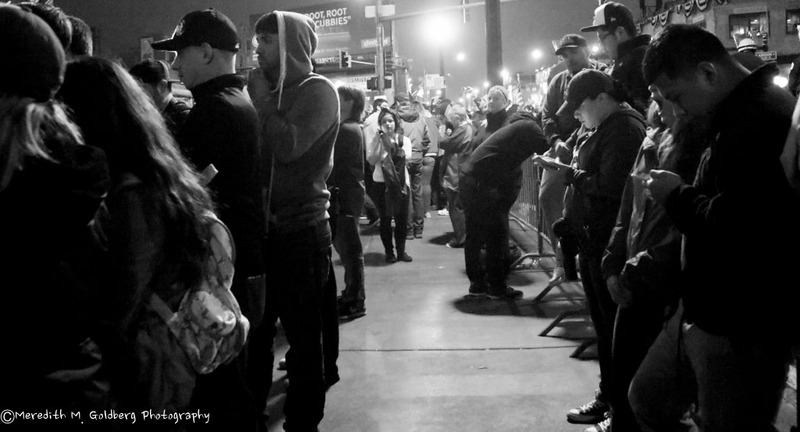 Cubs fans listen to the play by play on a radio they placed on the Ernie Banks statue. 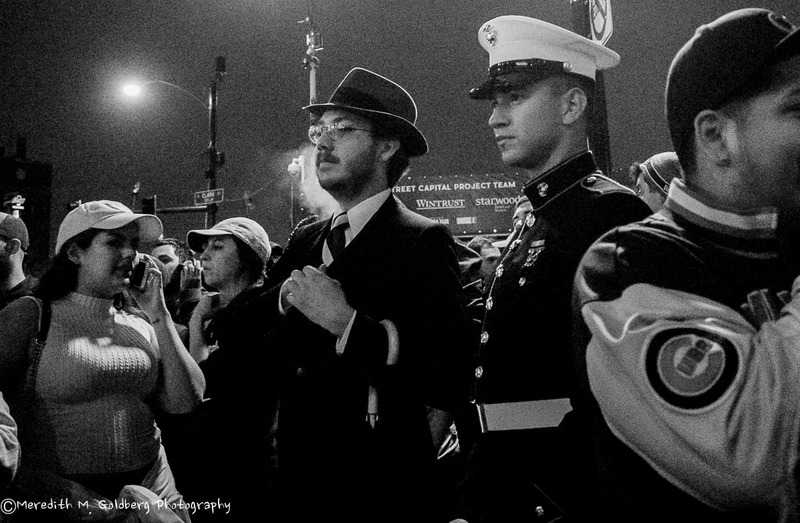 A Marine in dress uniform amongst the revelers. 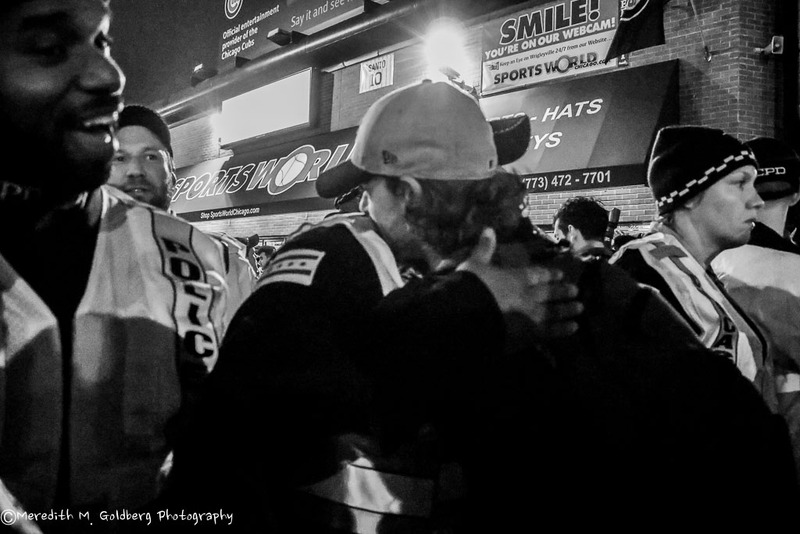 Police officers and fans celebrating exciting moments in the game together. Started flying W a little too early, still several innings left to be played. 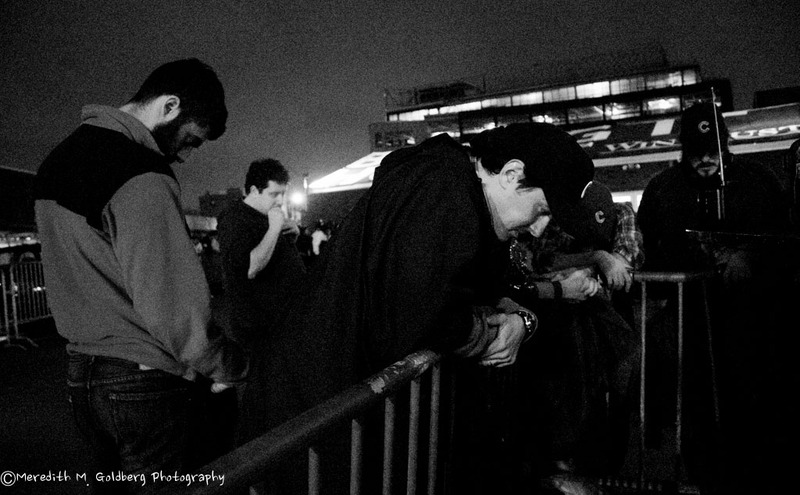 During some tense moments of the game where a Cubs victory appeared in jeopardy, some anxious fans broke away from the cheering crowd just feet away. Fans celebrate during the bottom of the 7th. Seemingly every catch, every, tag out of an Indians player, every strike thrown by a Cubs pitcher and every hit made by a Cubs player brought roars of cheers. 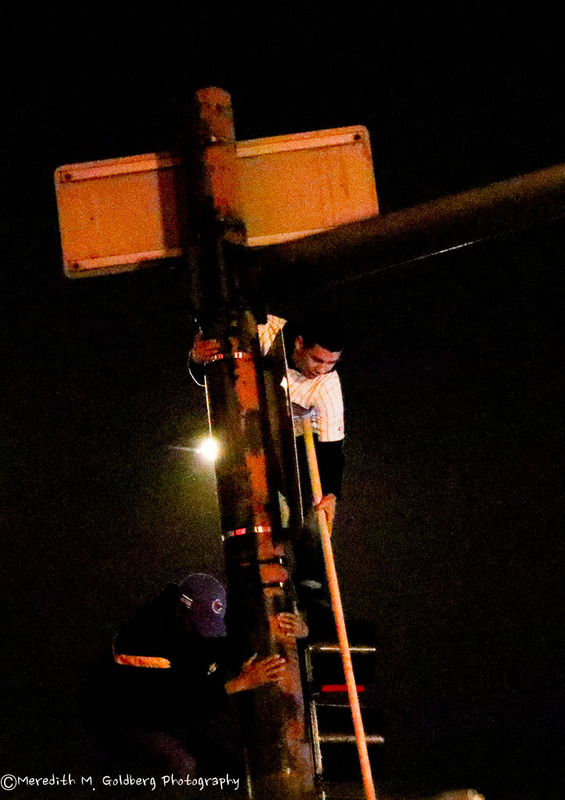 Fans climbing the lightpole at Addison and Clark during the 8th to wave the W flag. 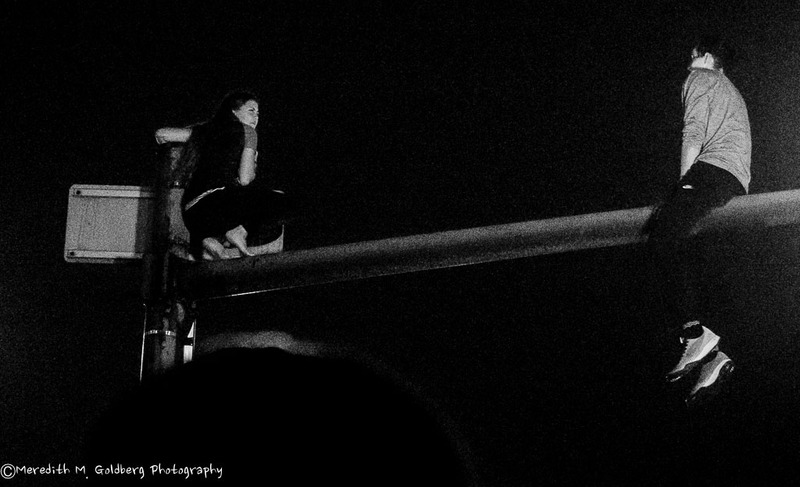 Two atop a light pole in the 8th. Cleveland Indians just tied it up 6 to 6, stunning some of the crowd members and causing them to get momentarily anxious. 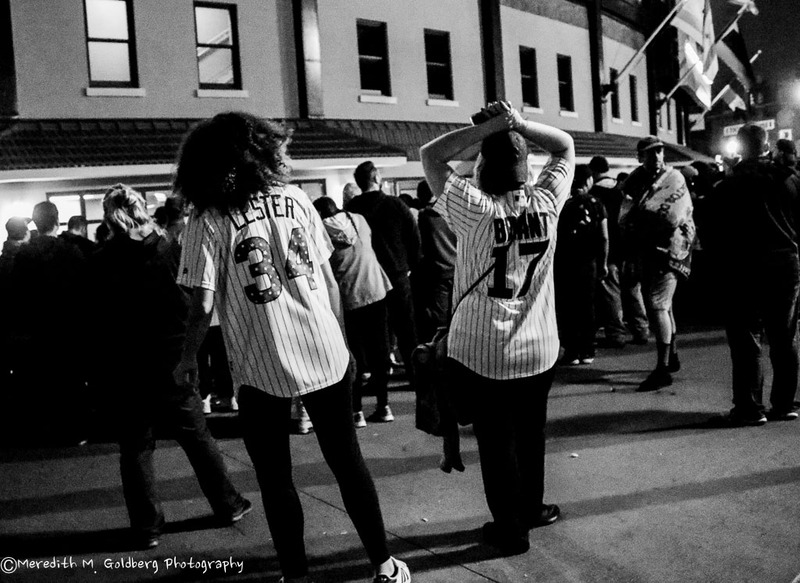 The Indians final run caused audible gasps from the crowd gathered in front of the VIP entrance, from which they could watch the game through the windows. 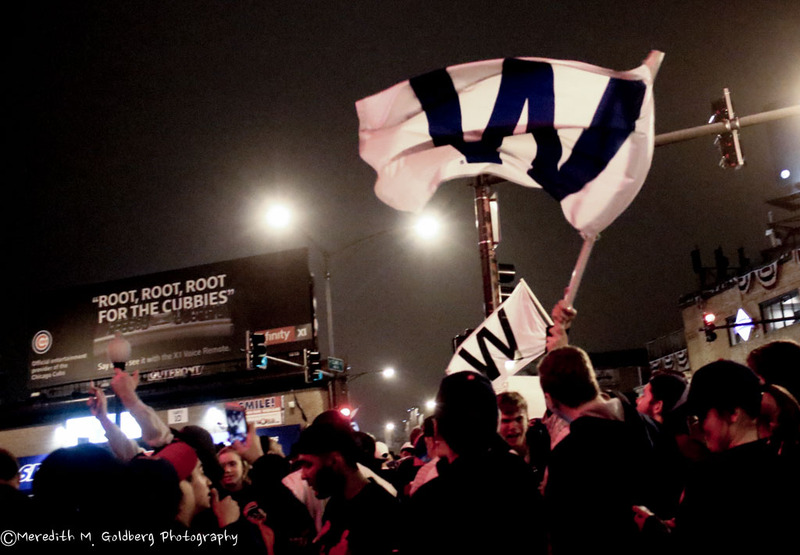 The Chicago Cubs win! 8-7 in 10 innings over the Cleveland Indians in game 7 at Cleveland. The Tribe yielded a 3-1 lead in the Series, allowing the Chicago Cubs to capture their first World Series in 108 years. 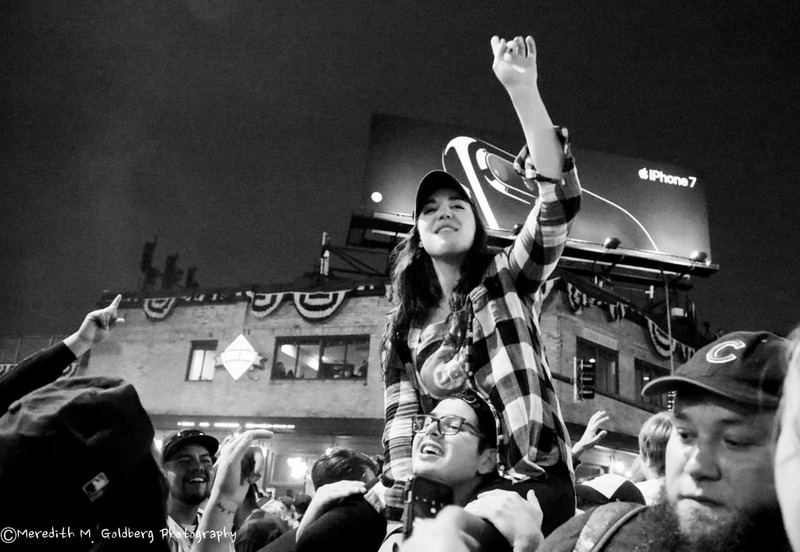 Jubilation at Clark and Addison. And down comes a sign pole. 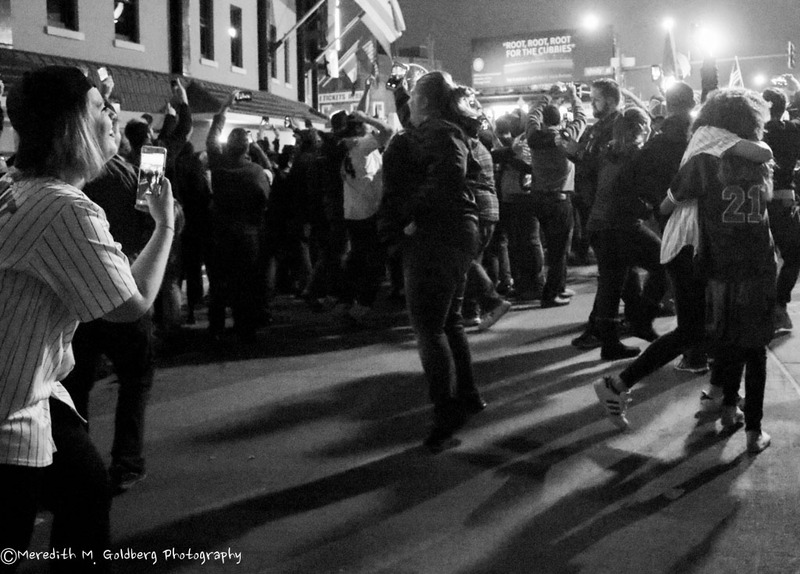 Celebrating near the corner of Addison and Clark Streets, outside of Wrigley Field. 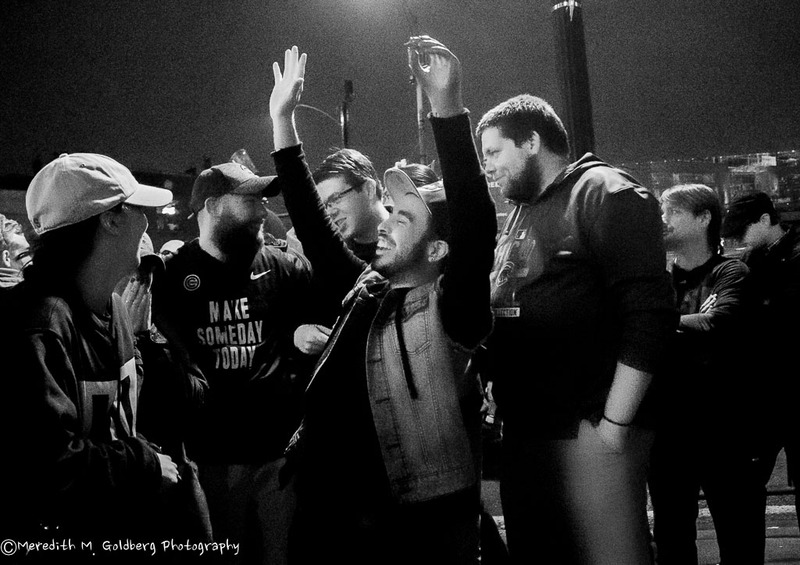 Cops and crowds celebrating together. 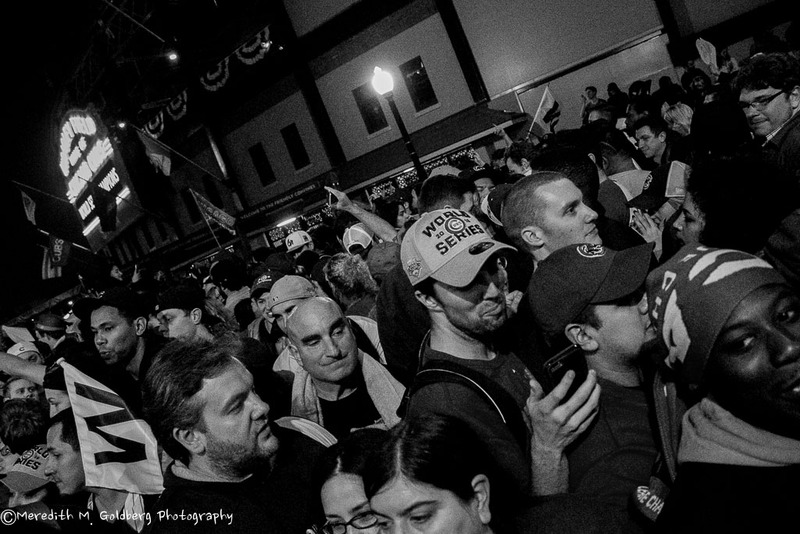 The mass of humanity of Cubs fan outside Wrigley Field. 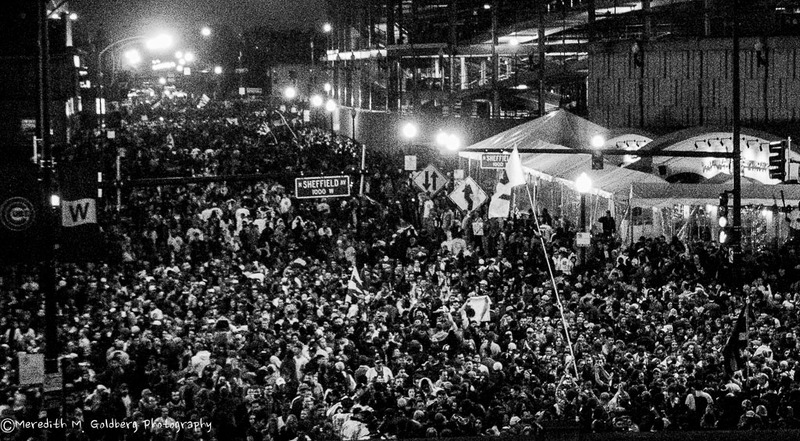 (Shot about an hour after the game ended). 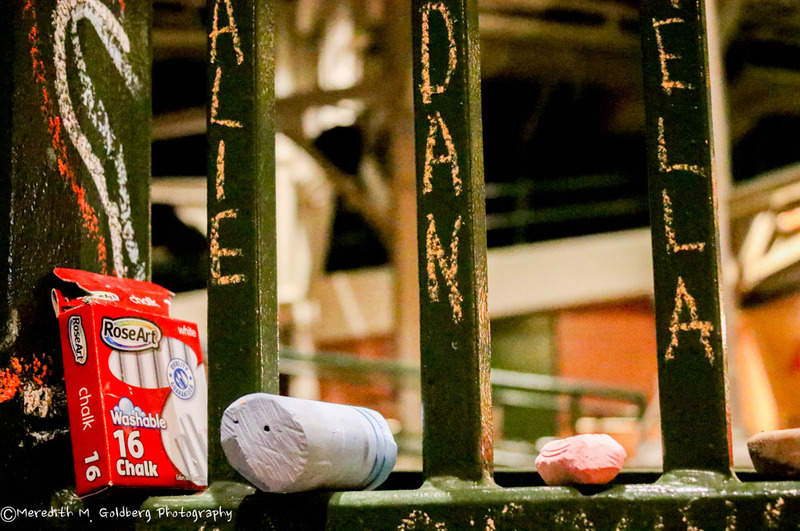 Cubs fans left messages in chalk on the brick exterior near the Bleachers entrances. Some left photos of loved ones with whom they shared their love of the Cubs but were unable to see this success by the team in their lifetime. Ms. Merkel passed away just over week shy of the Cubs winning the World Series. Chalk left at bleacher side entrance for people to use to leave messages. 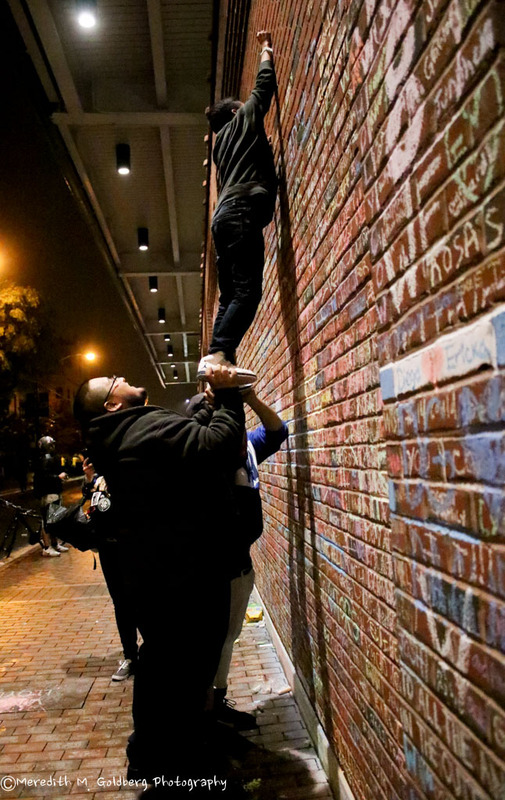 Getting a lift to find some space on which to write his message.